Today I am thrilled to announce our latest project. For the last few years, we have been hard at work on a set of maps that show the vineyards of Napa Valley in unparalleled detail, parcel by parcel and owner by owner, like never before. The day has finally come to share that work with you. Vinous Maps are the result of six years of visiting Napa Valley and observing the land with the goal of better understanding how the characteristics of each site are ultimately reflected in the glass. Created through extensive proprietary research and boots-on-the-ground work, Vinous’ Napa Valley Maps represent the state of the art in modern cartography. Renowned wine critic and cartographer Alessandro Masnaghetti joins Vinous as a key member of our maps team. Italian wine lovers will recognize Alessandro as the author of the most comprehensive maps and books available on the vineyards of Barolo, Barbaresco and many other regions. Alessandro’s work has been featured in numerous publications, including The Wine Spectator, Jancis Robinson’s Purple Pages, Wine & Spirits and Vinous. We are delighted to call Alessandro an esteemed colleague and friend. The first two maps in the series, Oakville and Pritchard Hill, are available to order now. Rutherford and Yountville will be finished by late summer and will be followed by further maps as we complete our survey of Napa Valley. 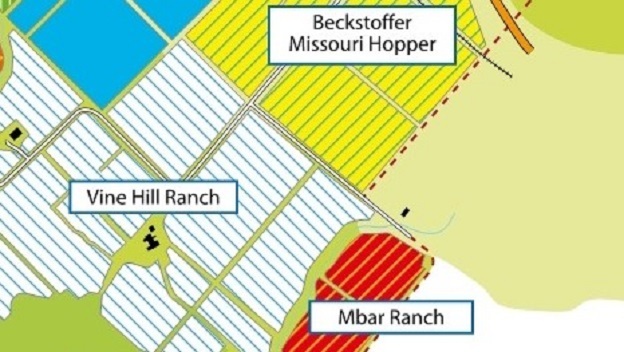 Each map shows property boundaries on the front and more detailed information on the back, including 3-D images that allow for unprecedented perspective of vineyard sites. 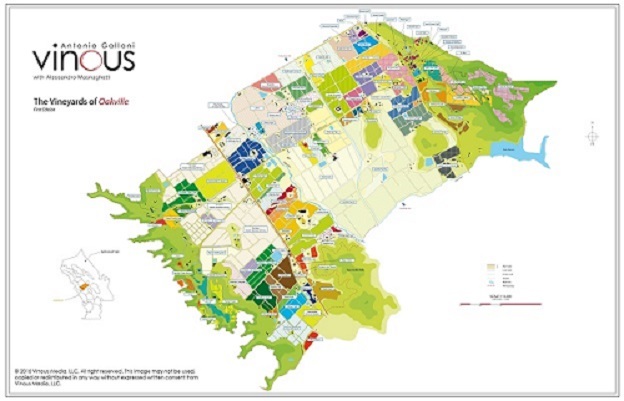 Vinous maps are poster-sized (23-3/8 x 33-1/8 inches), printed on both sides, and available in both folded or rolled, ready-to-frame versions. 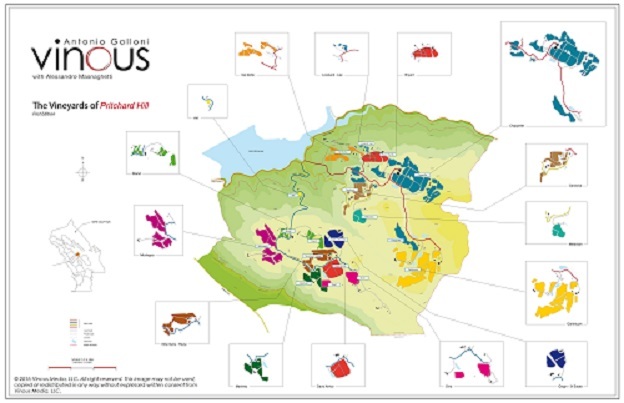 Vinous’ Napa Valley maps are a privately funded, wholly independent project that we have undertaken without any financial assistance or contribution from any growers’ association, winery, chamber of commerce, government agency or other party. 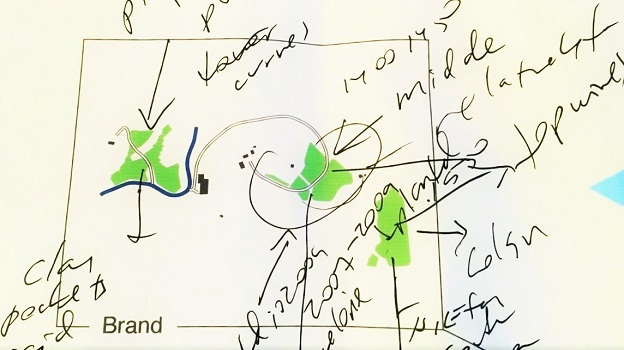 These maps are the result of walking the vineyards (most of them many times), and countless interviews with owners, vineyard managers, winemakers, historians, geologists, mapmakers and other experts in their respective fields. Each and every property owner has had an equal opportunity to be involved, but the views represented herein are our own. We have approached these maps with great respect for Napa Valley’s history. Where applicable, we use existing place names to honor that legacy. Although we show the boundaries of Napa Valley’s recognized AVAs (American Viticultural Areas) for reference, we do not allow those conventions to dictate our decisions on where vineyards appear on our maps. Instead, we are guided by what we have been able to observe regarding location, exposure, soils and geology. In some appellations, especially those on the valley floor, Vinous Maps may look similar to AVA maps, but that is purely coincidental. We show vineyards according to what we think makes sense, rather than being governed by a set of arbitrary (and often politically motivated) choices that may not be relevant today. We hope Vinous Maps serve as an opening chapter for the further discussion of terroir in Napa Valley, fully recognizing these maps are only a first step in that conversation and that much work lies ahead.